Description This Conyers, Georgia hotel has an outdoor pool, free internet access and non-smoking guest rooms. This hotel is also pet friendly. 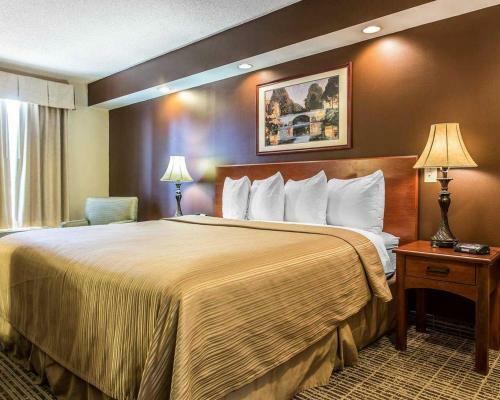 Our guests please their pocketbooks with a convenient location comfy accommodations and on-the-house parking at the Quality Inn Conyers. 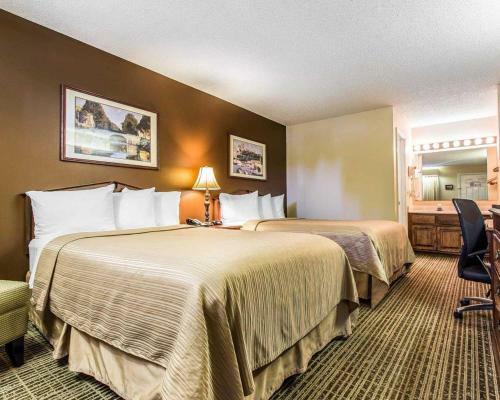 Small pets are permitted for a fee at this two-story hotel with 59 rooms and exterior corridors. 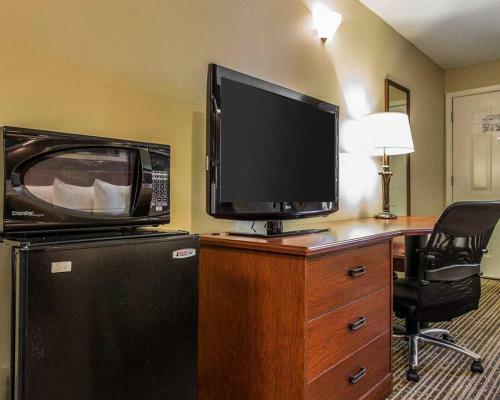 You can click on a cable TV for some in-room entertainment. 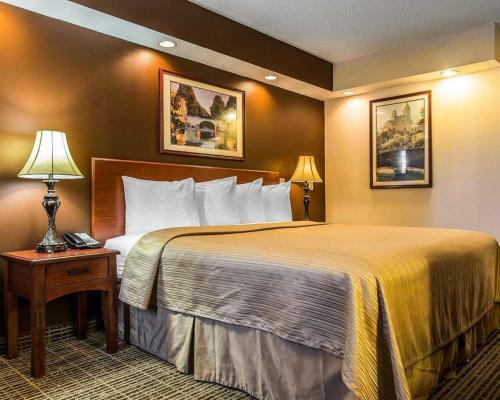 Plunge into plush pillowtop mattresses and sink into slumber. 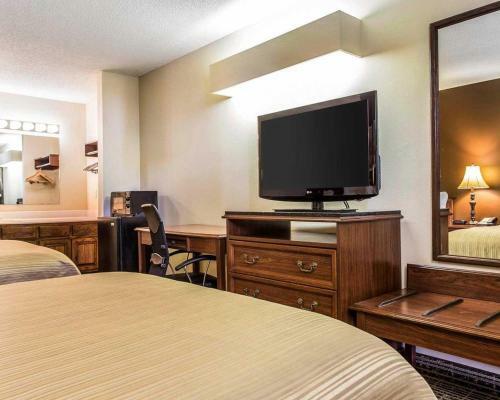 Accommodations also feature alarm clock radios coffeemakers and hairdryers. 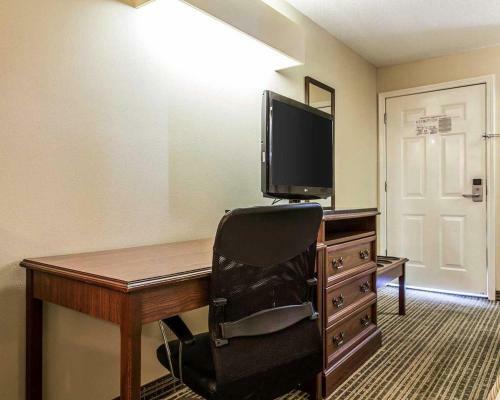 Some rooms also have microwaves and mini-fridges. You can burn off the extra calories with some treadmill time in the fitness center. Busy professionals take care of business at the 24-hour front desk with copy and fax services. Parking is free of charge. 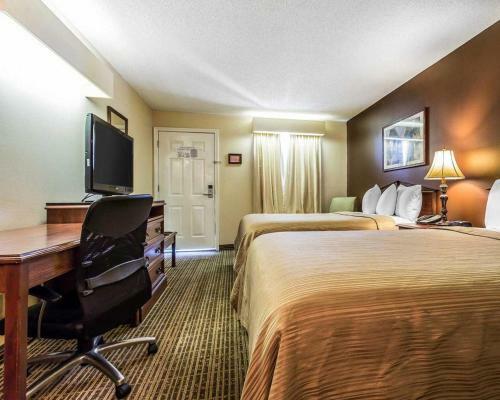 The Quality Inn Conyers is situated right off I-20 enabling easy highway access for Our guests. You can shop 'til you drop at The Mall at Stonecrest an 11-minute drive. Horse lovers saddle up for equestrian fun at Georgia International Horse Park a 14-minute drive. Tackle some football fun at the Georgia Dome the home of the NFL Atlanta Falcons a 30-minute drive. 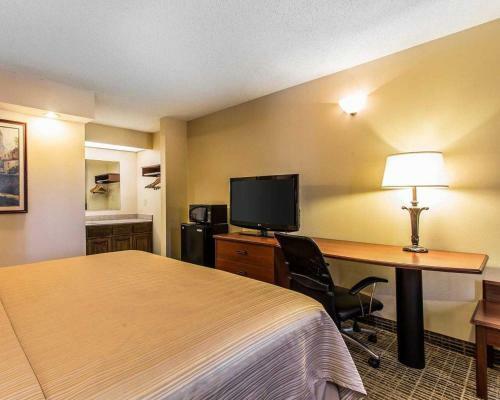 The hotel is 29 miles from Hartsfield-Jackson Atlanta International Airport. 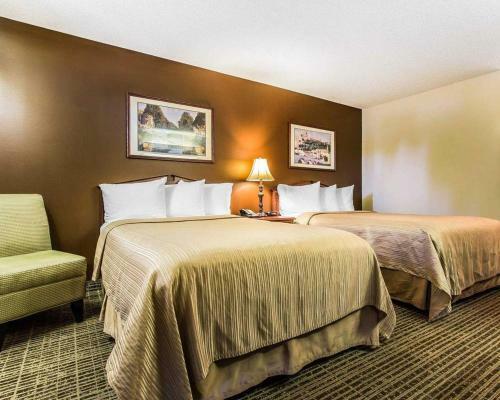 Add Quality Inn Conyers to your free online travel itinerary.